2012 will enter in my game as the Year of Emotion. This year, more than any other, showed games that weren't only great to play, but that messed with how I felt. Be either the innovative way that journey conveyed one of the most powerful and meaningful story I ever saw in a game, and that without using voice acting or even text; be it Spec Ops: The Line, making you regret being a trigger happy killer; or having to do some of the hardest decisions ever in The Walking Dead. But none of them was the most powerful experience I had this year. The one that made it was the most unlikely game ever, in a genre not well know for dealing with story and character development. Persona 4 Arena is the only fighting game I bought this generation. My love for the Persona franchise and knowing that both Atlus, famous for good storytelling and Arc System Works, famous for developing solid fighting games, made me sure I would love it. What I didn't expected is that they could make one of the most emotional, tear jerking story I ever met in fighting games, and in fact, in most games. When you unlock Labrys in story mode, you start discovering her back story. 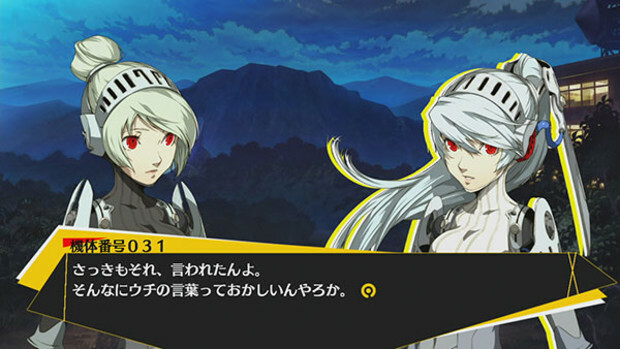 Labrys is created as a humanoid weapon to fight against Shadows. To properly fight Shadows, she should be able to summon a Persona, and that requires her to develop a personality. In order to do so, the scientists that created her put inside a Dusk Plume, some sort of crystal that allows her to develop a personality. 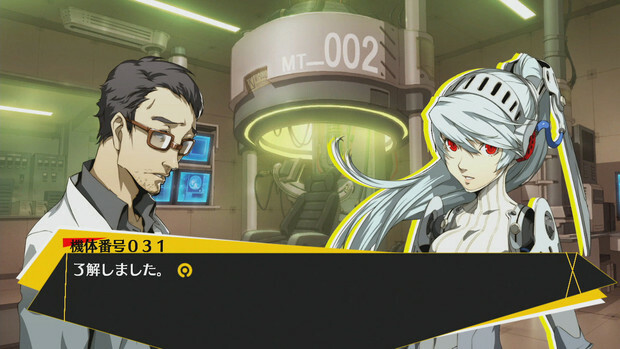 At first, Labrys is just an android (or ginoid if you are pick) with no emotions at all. But as she fight against her 'sister, androids of the same model as her and start interacting with one of them, number 24, she start to develops a personality and emotions. As her story progress, she become more and more human like and develop a strong friendship with her sister 24. But them, the scientists kept her fighting against her sisters, making Labrys wonder why she must do it, why she must destroy them, specially knowing that they are like her. After each fight, they would upload their data unto her, but sometimes memories of her defeated sisters would slip unto Labrys. Their feeling would slip unto her, making her more and more human. And finally, the scientists make her fight against her best friend, #24, in order to force her to summon a Persona. 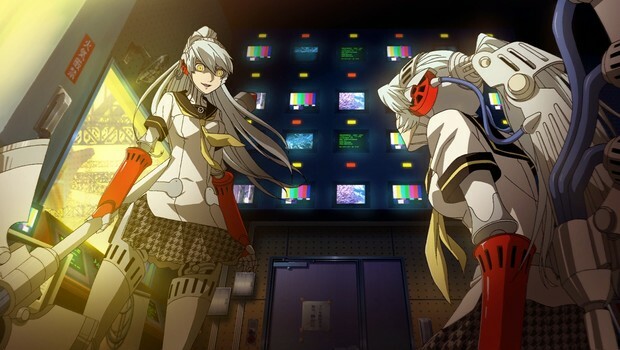 Believing that a strong trauma would awake the Persona, these scientists, knowing what they were doing, put Labrys to fight against someone she loved. 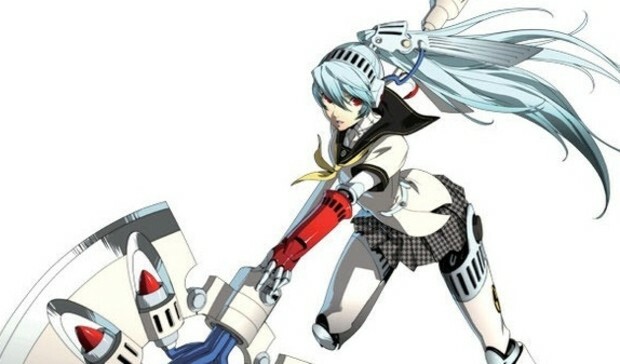 Even after Labrys damaged #24 to the point of her not being able to fight anymore, the scientists forced the damaged android to fight, forcing Labrys to 'kill' her sister and best friend. And them, after uploading the data unto her, Labrys discovered that #24 had dreams of her own, and that she trusted that Labrys would be able to carry on with those dreams. Labrys was trusted to carry the wills and desires of her fallen sisters. Yet, the scientists decide to wipe Labrys memories and emotions, since an emotive 'weapon' wouldn't be a great weapon. Labrys, with the prospect of forgetting who she become, the dreams and hopes of her and her sisters, the final wish #24 entrusted her with, rebelled. 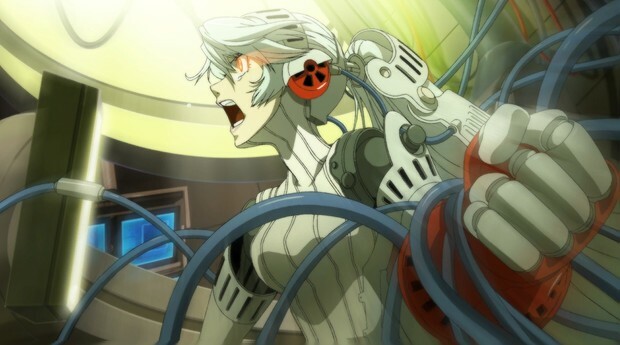 Using all her power, even almost awakening her Persona, Labrys tried to escape, to protect those precious dreams. To protect the last wishes of her defeated sisters. And them she discover that she is in an island, without ways to escape. Without any chance to fulfill her dreams and the ones she was entrusted with, she gave up. But there, looking the sea that she can't pass, she desires that someone in the future, looking at that same sea, could fulfill the wishes she couldn't. 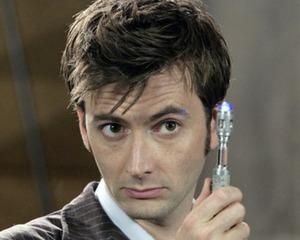 I must admit, I almost cried there. My brief description of her story don't make justice on how emotional this is. I never imagined that a fighting game, of all genres out there, could be able to have such powerful moment. Labrys story is one of the most emotional ones I have ever crossed over in games. I am glad I was able to play such story. And I hope 2013 don't shy away of trying to tell stories that aren't just excuses to shoot/kill things, but that can touch you and make you wonder. Because yes, every game in every genre can deal with emotions. All you need is someone that knows what they are doing. And hopefully, we will have more and more games like those. Thankfully, her story doesn't end there.